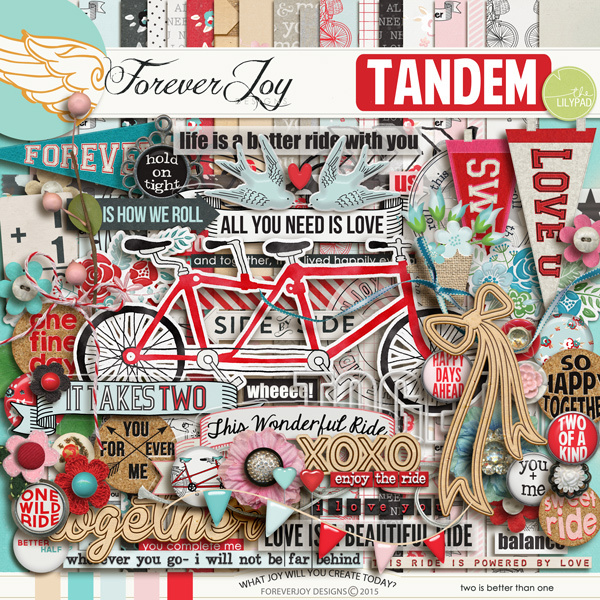 The Tandem Paper Pack includes 22 patterned papers plus *3 bonus solid papers - elements and papers are sold together in the Tandem Page Kit. "Where there is love, that is home." Celebrate that joy with this charming page kit that is furnished with 18 papers and over 70 delicate elements including 2 little birds, 3 bows, a berry branch, a butterfly, 6 buttons, a glass charm (colored pink and blue), Floral embroider corners, 3 strips dynamo word art, 4 flairs, a resin flower basket, 5 flowers, 3 frames, a shabby styled door plate, 3 hearts, 2 chipboard cottages, a set of keys, delicate leaf arch, 2 colored leaves, a picket fence, 2 strips of ribbon, 2 roses, 4 word snips, house stamp, leaf stamp and rose stamp, rose bud sticker and rose cluster sticker, 2 swirls, tiled word art "home", a strip of paper lace and 7 bits of word art. (Vellum word art comes both shadowed and unshadowed) Drop shadows for illustration only. This digital kit has been saved as .jpg and .png files at 300 dpi. Not all items shown. Personal Use Only please. 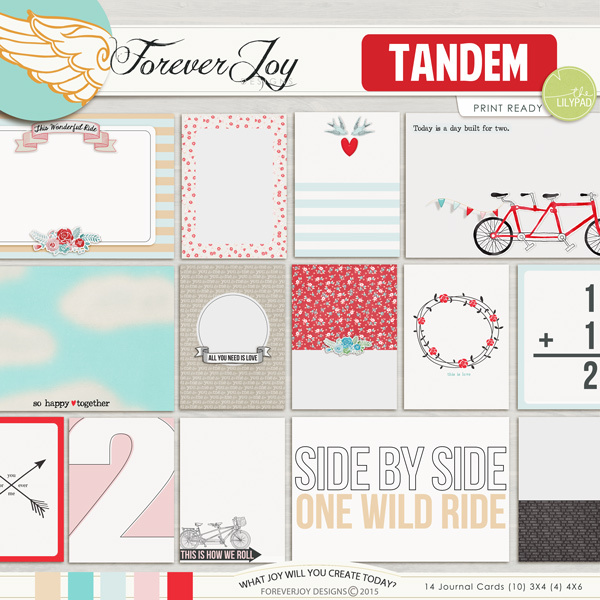 The pure joy of love everlasting is captured in this playset by ForeverJoy Designs! It is lovingly packed with 14 papers and over 35 elements including * 2 arrows * 3 bows * 2 branches * 3 buttons * a sweet charm * 2 flairs * 4 flowers * 2 frames * 2 little lovebirds* 2 leaves * 3 bits of ribbon * 2 vellum spots * 'I love you' sticker * a bit of stitching * wood chip talkie * 'do not separate' ticket * 4 pieces of word art * engraved tree stump- solid and TRANSPARENT STYLE * tree trunk with heart ready for engraving. Drop shadows for illustration only. This digital kit has been saved as a quality checked jpg and png file at 300 dpi. Personal Use Only please. 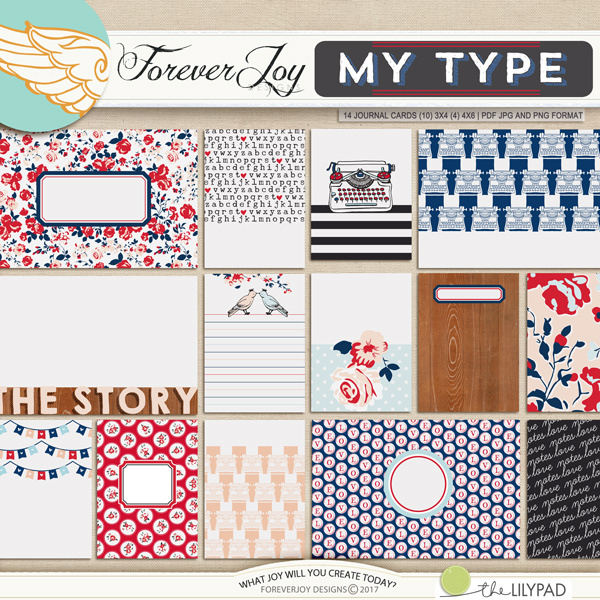 Note: This kit was previously released in 2014 Please check your ForeverJoy stash before purchasing. Doesn't it feel wonderful when you take the time to do what makes your heart happy? Bring that message to your layouts with this page kit by ForeverJoy Designs that is full of glitter and foil and outright happiness! Inside you will enjoy 18 papers and the following elements: 2 arrows, and a little bow to shoot them from as well as a target rub on-a delicate bead banner, 2 hand drawn bows, 2 tied bows, a rub on of hearts, 2 brads, a little bead branch, 1 beautiful glittered butterfly, 4 buttons, 2 charms, chevrons, confetti sprinkle, a doily, 4 pieces of type dynamo tape, 2 flairs, a little flower sticker, 3 frames, 6 flowers, a delicate heart and branch arch, 4 hearts, 2 labels, 3 leaves, a pink postcard, 4 bits of ribbon, 2 paint splotches, a line of stitching(colored light and dark), 2 tags, a claim ticket, a bit of curly twine, 2 vellum spots and 7 pieces of Word Art. Drop shadows for illustration only. This digital kit has been saved as .jpg and .png files at 300 dpi. Not all items shown. Personal Use Only please.